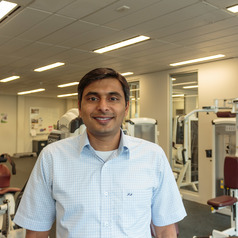 I am a young Academic/Researcher and an Accredited Exercise Physiologist whose research and clinical work focuses on the role of exercise in the management of cancer. I recently graduated with my PhD from Edith Cowan University in 2015 focusing on pre-surgery exercise in prostate and rectal cancer patients. I was the recipient of the International Post-Graduate Scholarship 2010 ($25000) and the inaugural Industry and PhD Research Engagement Program (IPREP) 2014 ($2000) from Edith Cowan University. I am a young researcher building a track record that includes 3 refereed publications with 66 citations, 12 refereed conference proceedings, and 2 invited conference presentations. I have been a Clinical Exercise Physiologist for the past 5 years.